There are all kinds of things that have to be done after a fire is extinguished at a business. The first is, obviously, a headcount to make sure that everybody who may have been in the building is safe. This is usually the primary concern of the company owner. So, when the SERVPRO team arrives on site, our aim is to get repairs started as quickly and as easily as possible. We will talk to you about the accident, establish what needs to be done to make the building safe, and then advise you on how to proceed. In short, our job is to begin repairs, but also to allow you to get on with calling insurers, handling employees, and making sure that everybody is safe. Keep reading this guide for more important fire damage information for Chicago businesses. A big part of taking the stress and responsibility for repairs away from you is proving that you can trust us. At SERVPRO, we have been dealing with fire damage repairs for many years, and we have tackled everything from the smallest kitchen accidents to the severest house blazes. Our focus is always on keeping your possessions safe and saving as many items from the building as possible. Sometimes, there are pieces of furniture, equipment, technology, and parts of the décor that simply cannot be fixed. However, even after extensive damage, most items can be salvaged. So, when the team arrives, they will carry out a full inspection of the building and make a preliminary report. They will then begin to inventory the contents and determine which items can stay and which need to be taken to our special restoration center. Everything that is removed from the building it allocated with a special barcode and an inventory number. This is so that all items can be tracked and traced if anything appears to go missing. We understand that you may feel uneasy about the process, which is why we will talk you through it and help you understand what is happening. Most of the time, we also take photos. This ensures that all items that leave the building are returned in either the same (undamaged) condition or a restored condition (after cleaning). The inventory process helps to protect the SERVPRO team from being liable for damage that they have not caused, but it is also designed to keep your valuables secure. It is an integral part of fire damage repairs, and we aim to carry it out as efficiently as possible. If you are currently dealing with the aftermath of a fire at your business, get in touch with our team at SERVPRO of Hyde Park/E. Bridgeport/ Bronzeville. We are based in your area and can respond to calls fast. Call us 24/7 at (312) 509-5000 for fire damage repairs and restoration. After a fire occurs in a home, requesting fire restoration damage estimates from professional cleanup teams with the correct equipment and cleansers is essential. However, the first person to call is your homeowner’s insurance agent to request a referral for a local fire restoration team with trained technicians. An emergency restoration company typically offers services round-the-clock and can provide potential customers a fast estimate based on the size of the home along with the amount of damage incurred. If an insurance company only covers a certain percentage of the repair costs, then getting several estimates is vital to understand how much you will need to pay for the services. An important thing to remember is that repairs are required quickly to avoid secondary damage caused by moisture used to extinguish the fire. A great way to prove to an insurance company that specific repairs are needed is by taking photographs or videos to send to an insurance agent. After getting several written estimates from fire restoration companies, contact your insurance company to discuss the cost of repairs. With additional information from a professional restorer, an insurance agent may make adjustments in reimbursements. This discussion process is known as arbitration and is quite common with insurance companies, but in this case, a homeowner must work quickly through this process. 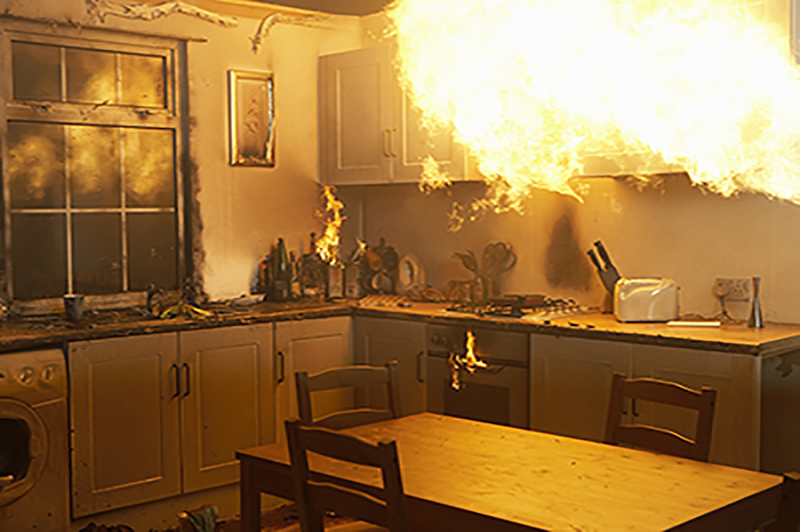 After a fire occurs in a home, requesting fire restoration damage estimates from professional cleanup teams with the correct equipment and cleansers is essential. Most full-service restoration companies provide detailed free estimates after visiting a damaged home. The company should provide a written list of needed repairs along with a time line. Not only is this information helpful for a homeowner, it is another way to show documentation to an insurance company to receive the most reimbursement possible. The goal of restoration after a fire disaster is for the team to return the home to its previous condition rather than make improvements or remodel. The estimates a homeowner receives should include huge jobs such as removing charred drywall and small tasks such as clearing smoke odor from a home. The costs of specialized services such as shampooing or dry cleaning fibers to remove smoke odor from draperies, upholstered furniture or wall-to-wall carpeting also requires documentation to satisfy an insurance company. 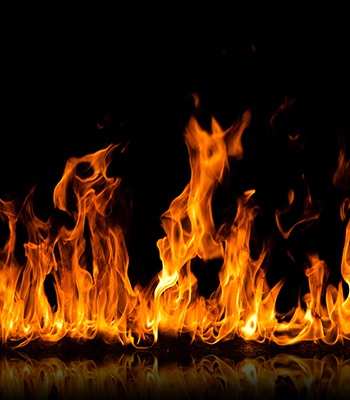 Fire restoration is a difficult process because it requires removing and replacing burnt structures along with cleaning soot and smoke from a building. Before the fire restoration team can begin these jobs, water left behind by firefighter’s hoses and fire sprinklers is suctioned from surfaces. Power is often off in the building, leading to needing powerful generators to operate air purifying systems and dehumidifiers. The moisture and burnt debris removed from a home are also considered hazardous materials that require specialized collection and disposable according to government guidelines. With a detailed written plan concerning the restoration services required, how much the services cost and how the professional team plans to perform the tasks, technicians are ready to begin the job. Fire damage restoration estimates helps a professional full-service restoration team to restore a home to its previous condition as efficiently as possible. You may feel traumatized after a fire occurs in your home, and worrying about money to make the repairs makes the situation worse. With an experienced team of fire restoration technicians, all aspects of the cleanup are taken care while a homeowner deals with other things. Contact a homeowner’s insurance company today to learn about hiring a fire restoration team.